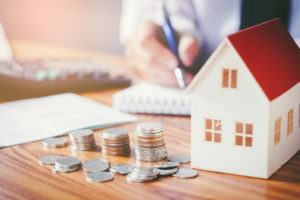 According to a new report, the number of new mortgages issued in the second quarter of 2018 fell 3.4% year-over year. The one group hit hardest? The youngest borrowers. Lending to Millennial borrowers (24 to 38 years of age) fell 18% and tumbled 22% to Generation Z borrowers (18 to 23 years of age). Why is this troubling? Younger, first-time homebuyers are an important driver of the real estate market. Over the last five years, roughly 45% of homebuyers were first-time buyers. But they’re being shut out of the market because of affordability and tougher lending rules. Much of this is being blamed on new mortgage rules that were implemented in January. Under the new rules, borrowers are stress tested at either the five-year average posted rate or two percent higher than their actual mortgage rate—whichever is higher. How much does a young Canadian homebuyer need to qualify for a mortgage just to buy an average priced home in Canada’s largest cities? In Toronto, the average price for a home is $724,672, meaning, a first-time homebuyer would need to come up with a 20% down payment of around $145,000. The income one would need to pass a stress test at these current levels is approximately $140,000. New mortgage rules were supposed to make Canada’s real estate market more stable, but all it’s really done is make it excruciatingly difficult for first-time homebuyers to purchase a home. Fortunately, the new stress test only applies to federally regulated financial institutions. When it comes to investing opportunities, Canadians are seriously underexposed to real estate. The best, stress-free way to take advantage of Toronto’s strong real estate market, is to invest in the Mortgage Company of Canada’s high-yielding residential real estate mortgages. The best way for investors to gain direct exposure to Canada’s mortgage market is through a Mortgage Investment Corporations (MIC). As an alternate investment, owning shares in a MIC allows you to invest in a company that manages a diversified pool of residential and commercial mortgages. For example, the annual yield target at Mortgage Company of Canada is 9.25%, with distributions paid monthly. Between 2000 and 2015, the average dividend yield on the TSX was 2.39%, distributed quarterly. The S&P/TSX Composite Dividend Index has a one-year annual return of 5.38%. How does Mortgage Company of Canada do it? Mortgage Company of Canada is a reliable firm with an enviable track record, and reputable independent board or directors. Our management team has, combined, over 45 years of lending experience and currently manages over 700 mortgages, approaching a value of $215 million. And that number is growing rapidly. Over the last 12-months, our mortgage portfolio has grown 70%. Of that total, 88% of all mortgages are in the Greater Toronto Area and 71% of our portfolio is made up of first mortgages. On top of that, nearly half of our mortgage portfolio matures in six months; 100% of our portfolio matures in less than one year.